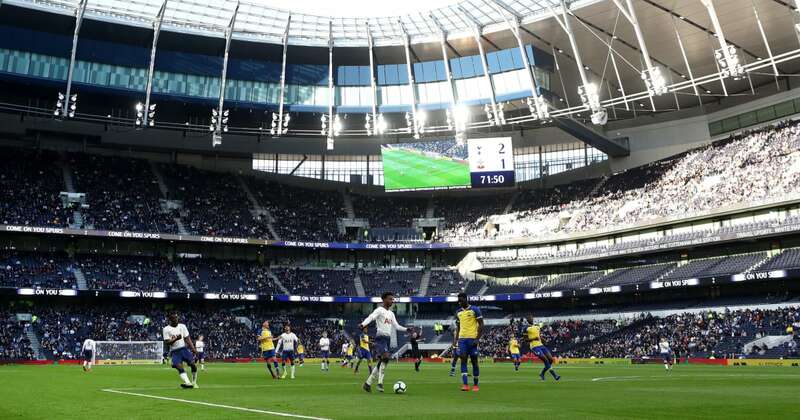 ?Tottenham will finally play their first match at the new Tottenham Hotspur Stadium in their Premier League clash against Crystal Palace on 3 April.
? ?Fans who have been following the club for generations yet failed to get a ticket would also be angered by the fact that those same tickets are now being sold for hundreds of pounds on third party websites, despite the club creating a “Hotspur plus” membership scheme, which should have ensured a fair way of the distribution of tickets. I’m in! Ticket sales are stressful ? I just logged onto the website with my client ref number. Waited till ten o’clock when they said tickets on sale to OH members. Clicked on buy tickets for Palace. Waited 5 minutes Got thru and selected a ticket. Easy. ???? ?